Park Indigo brings effortless technology right to your fingertips. With its advanced online parking app, parking your car has never been simpler. Find, reserve, and pay for your parking at any time of the day with just a click of a button! Available on the App Store and Google Play. Download the Park Indigo app here. The Government of Alberta apparently likes Calgary so much that it’s willing to put a ring on it. 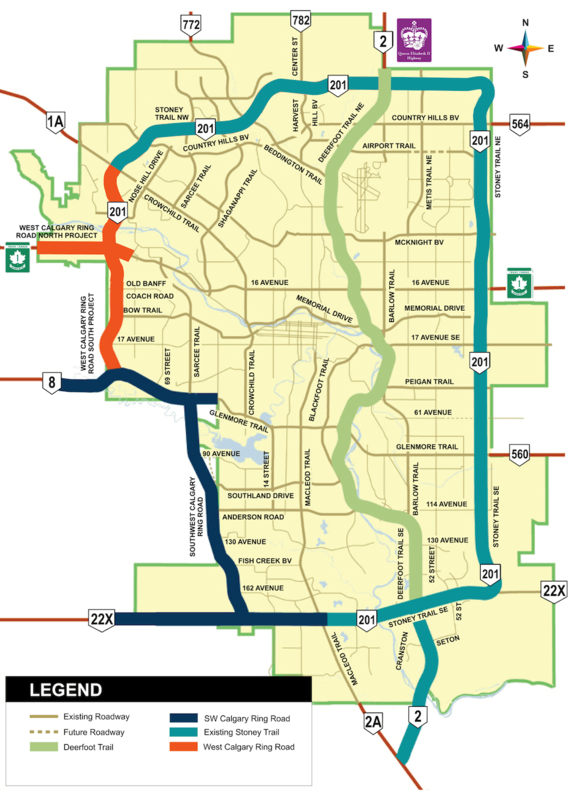 Construction contracts were awarded on March 5, ensuring that a three-part plan to finish the West Calgary Ring Road will be underway starting this spring. The new road will be built onto Calgary’s existing Transportation Utility Corridor and will link the entire Calgary Ring Road into one 101 km free-flowing travel network, according to a release from the Government of Alberta. To do so, the West Calgary Ring Road will need to see 9 km of new freeway built, a reconstruction of 5 km of the Trans-Canada Highway, improvements to Stoney Trail, six new interchanges, and 24 bridges. “I’m pleased to see progress is being made on the West Calgary Ring Road,” said Calgary Ward 6 Councillor Jeff Davison in the release. The total cost of the project will be over $550 million, with $463 million being awarded on Tuesday for the north project and $89 million being awarded for the West Bow River Bridge. Details on the south project remain to be announced. The north project consists of reconstructing Highway 1, 18 bridges, two interchanges, and one flyover on 1st Avenue SW. The West Bow River Bridge portion of the project will see a twinning of the bridge over the Bow River in the northwest and a widening of about 2 km of Stoney Trail between Crowchild Trail to Scenic Areas Link. 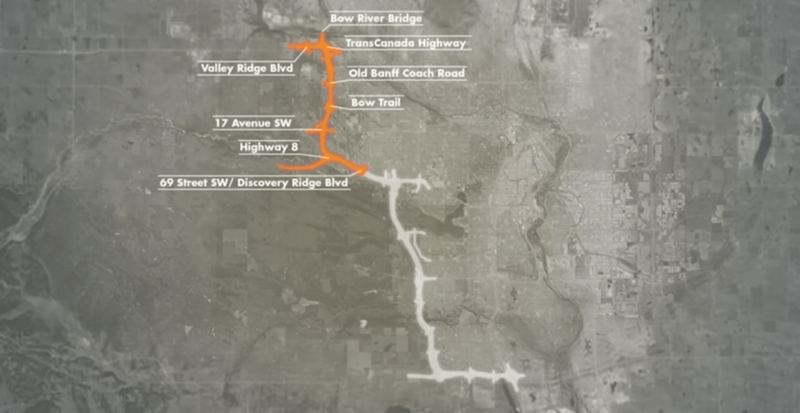 Construction is expected to start this March, and Calgarians may be able to use West Calgary Ring Road as early as 2022, according to the Government of Alberta’s timeline. Over the next three years, the project is forecast to support 2,693 jobs. “This project is something the people of this city have been asking to have completed for nearly 50 years,” said Minister of Transportation Brian Mason in the release. Upon completion, the Calgary Ring Road is expected to improve access to hospitals, workplaces, recreation, and schools, as well as reduce congestion throughout the city.